Founder and CEO, Hallmark Cards, Inc.
Joyce C. Hall always put quality first, whether it came to products, customers, or employees. Because of this, Hall, a high school dropout, was able to build a multibillion-dollar greeting card empire that diversified into a wide variety of products and services, including residential and commercial property, art supplies, gift wrap and accessories, and television programming. In less than one hundred years, Hallmark went from a tiny postcard shop in Kansas City, Missouri, to the world's largest manufacturer and distributor of greeting cards, with thousands of retail outlets around the globe and annual sales of $4 billion. "If a man goes into business with only the idea of making a lot of money, chances are he won't. But if he puts service and quality first, the money will take care of itself. Producing a first-class product that is a real need is a much stronger motivation for success than getting rich." Joyce Clyde Hall was born on August 29, 1891, in the tiny farm town of David City, Nebraska. He was the youngest of three sons born to George Nelson Hall, a preacher, and Nancy Dudley Houston Hall. George and Nancy Hall were very religious, using the name of a Methodist bishop, Isaac W. Joyce, when it came time to christen their youngest boy. When Joyce Hall was just a child, his father died. Hall and his siblings, older brothers Rollie and William and younger sister Marie, were raised by their semi-invalid mother. Hall went to work at the age of eight. A year later, his entrepreneurial talent already showed. He was only nine when he began to sell cosmetics and soap door-to-door for the California Perfume Company, which later became Avon Products, Inc. (see entry). When Hall was ten years old, the family moved to Norfolk, Nebraska, where Rollie and William had purchased a book and stationery store. In 1905, a Chicago salesman visited the store and convinced Hall that there was money to be made in selling postcards. Hall, then sixteen, invested his life savings of about $170 into the venture and convinced Rollie and William each to match his investment. Together, they founded the Norfolk Post Card Company, importing foreign postcards and selling them to local merchants. During the school year, Hall was the company's order filler and card sorter. During vacations he took to the streets, selling both the postcards and a sawdust sweeping compound. The business struggled to survive and in 1910, Hall dropped out of high school and moved to Kansas City, Missouri, with a suitcase of clothes and two shoeboxes of postcards. He began selling the cards to drugstores, bookstores, and gift shops. Hall's brother Rollie joined him in 1911 and they opened a small book, card, and gift shop in downtown Kansas City, buying products designed and manufactured elsewhere and selling them wholesale. After a fire destroyed the Hall brothers' shop in 1915, they quickly moved to new headquarters and started over. One of the first original designs they created after the fire was a card featuring a drawing of a rope with a knot at the end. The inscription read, "When you get to the end of your rope, tie a knot and hang on." The modern version of that card shows a cat dangling from a rope with the message shortened to, "Hang in there, baby." Although the business was a brotherly effort, Joyce Hall was the company's backbone. He constantly looked for ways to modernize things and kept his finger on the pulse of public tastes. Through the 1920s, Hall expanded the inventory to include Christmas and other decorative seals, party invitations, sympathy cards, and calendars, all of which were big hits with customers in a time of economic boom. But Hall also paid attention to his personal life. On March 25, 1922, he married family friend Elizabeth Ann Didlay. They had three children, Elizabeth Ann, Barbara Louise, and Donald Joyce. In the 1930s, Hall introduced a number of new marketing and sales strategies, such as an automatic reorder system, and self-service open display racks. Previously, cards were kept behind the sales counter and customers had to have a clerk pick out choices for them. People loved being able to sort through the cards on their own, and business soared. The decade also brought the Great Depression, which devastated the nation's economy. Hall worked hard to ensure that his employees would keep their jobs. He was also dedicated to returning prosperity to the United States. The 1930 Joyce Hall Prosperity Plan was embraced and promoted by Rotary Clubs throughout the country. Rotary Clubs are community-based business organizations. The plan encouraged suppliers and customers to buy materials in advance, providing working capital for companies. According to Hall, his plan allowed people to keep working and earning wages. It also kept the spending cycle going. Some newspapers credited Hall and his plan with aiding the country's eventual economic recovery. Joyce C. Hall used his greeting cards and his successful business to further the fine arts. The Hallmark Gallery Artists Christmas cards featured works by such great masters as Michelangelo (1475-1564), Leonardo da Vinci (1452-1519), and Rembrandt (1606-1669). Hall hoped these cards would bring the art of celebrated painters to people who would not ordinarily see them. He also created the International Hallmark Art Awards, providing funds to artists worldwide, and acquired famous works for the Hallmark Fine Arts Collection. During the 1950s, Hall took a stand against the Cold Warera threat of nuclear destruction, and became involved in a peace-keeping effort. In 1956, President Dwight D. Eisenhower (1890-1969) invited Hall and other prominent American businessmen to the White House for an important discussion. The meeting concerned establishing an organization to promote world peace. The resulting organization was called People-to-People. It was an effort to foster mutual understanding, respect, and friendship between American citizens and citizens of the world. Hall served on the group's board of directors and was chairman of People-to-People's executive committee. During his service, he made several trips overseas to promote the peace initiative. A few years later, Hall started the Hallmark Corporate Foundation, a nonprofit group that provides funds to Kansas City-area organizations and schools. The foundation's gifts have included grants to the University of Kansas to establish a business professorship and a design professorship, and annual scholarships for students at the Kansas City Art Institute. During his sixteen years as Hallmark's chief executive officer (CEO), Irvine O. Hockaday helped move the company into the twenty-first century. He also helped position the company as a leader in entertainment, overseeing the launch of the Hallmark Entertainment Network, which has become one of the world's top creators of movies and miniseries for television. During his time with the company, revenues nearly tripled and the Hallmark brand prospered. Hockaday was born August 12, 1936, in Ludington, Michigan. He graduated from Princeton University with a bachelor of arts degree in 1958, and in 1961, he earned a law degree from the University of Michigan. He joined Kansas City Southern Industries, Inc., in 1968 and served as its president and CEO from 1971 to 1983. 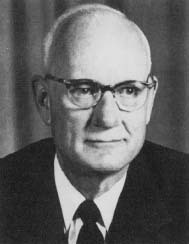 Hockaday's involvement with Hallmark dates back to 1977 when he was elected to Hallmark's board of directors. In 1986, he became the first person outside the Hall family to be named president and CEO. When Hockaday retired from Hallmark in 2002, he was praised by his successor, Donald J. Hall Jr., grandson of founder Joyce C. Hall: "We are extremely grateful for his leadership during a dynamic period in our company's history." Hall's outside activities took up much of his time and he found that he was less able to focus his attention on running a company. He gradually weaned himself away from managing day-to-day operations of Hallmark, finally retiring as CEO in 1966. Hall continued to serve as chairman of the company's board of directors, but he soon found a new interest: land development. The urban decay surrounding Hallmark's Kansas City headquarters bothered him and when the city failed to take action, Hall launched the redevelopment himself. Within ten years, he had built the 85-acre Crown Center. The residential, office, hotel, and entertainment district brought renewed interest to the area, and revitalization spread to nearby neighborhoods. Because of his work with Crown Center and his charitable activities, Hall never totally retired. Not one to drop out of sight, he also continued to keep a close watch on the quality of Hallmark products until his death in 1982 at the age of ninety-one. Hall believed the secret to his success was that throughout his life, he demanded excellence—from himself and from those around him. He also believed that he succeeded in business because he simply worked harder than anyone else. Not surprising for a man who asked millions of people to "care enough to send the very best." Hall, Joyce C. When You Care Enough. Kansas City, MO: Hallmark Cards, 1993. Andrews, Kelly J. "Outsourcing Lessons From Hallmark." Target Marketing (December 1999): p. 22. Cyr, Diane. "The Crown Rests on Royalty." Direct (April 15,1996): pp. 1-5. Ebeling, Ashlea. "Wild Card." Forbes (November 13, 2000): pp. 250. Gilbert, Jennifer. "Family Rule Restored at Hallmark." Chief Executive (December 2001): pp. 14-15. Matthes, Karen. "Greetings From Hallmark." HR Focus (August 1993): pp. 12-14. "Roses Are Red, Card Sellers Blue: Buffeted by Technology and Demography, Greeting-Card Companies Struggle With the Medium and the Message." Time (April 19, 1999): p. 34. Crayola Crayons [On-line] http://www.crayola.com (accessed on August 15, 2002). Hallmark Cards, Inc. [On-line] http://www.hallmark.com (accessed on August 15, 2002). Hallmark Cards, Inc. Harpo, Inc.